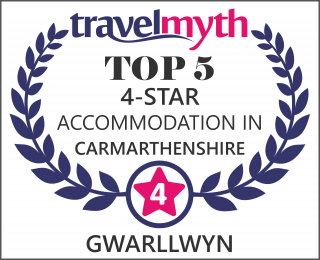 The accommodation is far more spacious and flexible than the average B&B, being described by guests as more like a short term holiday let, but without the cooking or washing up. You will stay in a stylish barn-conversion, which forms an annexe to our house and is arranged on three floors and is completely self -contained and totally private. It thus provides proper living accommodation rather than just a bedroom. We offer you the luxury of “self catering accommodation” without the washing up, or the need to book a long stay. Providing a self-service continental breakfast in the suite allows you the freedom to enjoy breakfast when it suits you, rather than rushing to get ready for a pre-booked time. In particular families with small children may welcome this – indeed virtually all our guests have said that they find it a very attractive option and a refreshing change from the usual rigid B&B arrangements. For those travelling with small children we have a travel cot, a booster seat, a high chair and stair gates. We hope the suite will provide you with somewhere where you will be happy to spend time and not be limited to just sitting on a bed and looking at the four walls. You can enjoy the views from the mezzanine whilst enjoying a fresh coffee or lounge back on the sofa and dive into a good book or relax and watch some T.V. or a D.V.D. There is also a snack tray in the room with a selection of crisps, nuts, chocolate, canned drinks and soups. The snacks are additional to the cost of the room and there is an honesty box next to the tray. The main bedroom area is very spacious and filled with natural light. The bed in this room is king size, the mattress is a medium firm pocket sprung 1000 with a mattress topper and a cosy electric blanket. There is also a sofa bed which converts to a small double bed. Large built-in wardrobes provide ample hanging and storage space. The radio alarm includes a docking for your i-phone or i-pod. A hair dryer, bath robes, hot water bottles, iron and ironing board are also provided in the room. There is a 32″ flat screen “Freeview” television with remote control and an integrated DVD/CD player with a small library of DVD’s. Due to our rural location we do not have access to telephone broadband, we have satellite broadband Wi-Fi. This has a limited monthly allowance and we ask you just to use it for surfing the net and e mails etc. Please do not download films, videos, music and games etc. as this will use up our allowance. The satellite signal can occasionally dip in and out in inclement weather such as high winds, therefore we cannot guarantee it will always be available. A flight of stairs lead up to the mezzanine (we do have stair guards for the top and bottom) where there is another double bed and a dining area. Here you will find everything you need to enjoy your continental breakfast in the comfort and privacy of your own suite. There is a kettle, toaster, microwave and a coffee filter machine. The fridge is freshly stocked daily with a with a choice of fruit juices, yogurt, milk, butter and spreads etc. Cereals, porridge, bread, croissants, jams, honey, fresh fruit salad and fresh fruit and are also provided. There are an excellent selection of beverages to choose from – Douwe Egberts instant and filter coffee, hot chocolate, Ovaltine, Earl Grey, breakfast and fruit and herbal teas. Our own free-range eggs and an egg fryer/omelette maker are provided so that you can make fried eggs or an omelette. We even set up the coffee machine for you, so all you have to do is hit the power button and wait for the wonderful aroma of fresh coffee. The kettle is freshly filled for you, together with a jug of fresh drinking water, so you don’t have to make unnecessary journeys up and down the stairs. The mezzanine is also a wonderful viewing gallery for the beautiful sunsets. A high chair is available for small children. From the main bedroom there are steps down to the bathrooms. The bathrooms consist of three separate areas – firstly a basin, toilet and bidet, then a walk-in wet room with a superb shower and lastly a further room housing a large free standing roll top bath. The perfect way to unwind after a hard day. There is a good choice of pubs and restaurants locally for your evening meal – or if you so choose you might wish to bring something with you, buy a supermarket ‘Ready meal’ or a Chinese or Indian take-away in Llandovery to heat up in the microwave and enjoy at leisure in the comfort of your own suite. Wine and long glasses are provided as is a cork screw and bottle opener. There is ice in the fridge. Due to the to the steep steps to the mezzanine and down into the bathroom access may be a problem for anyone with limited mobility. The open plan mezzanine area is not suitable for unsupervised children.